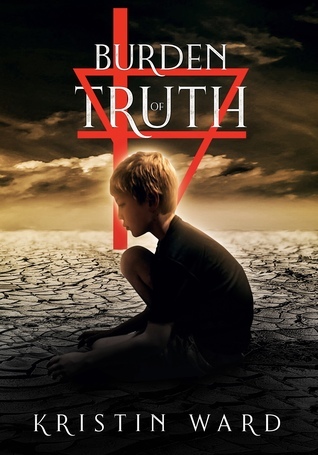 ‘Burden of Truth’ is the sequel to the book (‘After the Green Withered’) we had featured in the gigantic blog tour that ended last week . I knew I shouldn’t have (my tbr is slowly drowning me as it is…you’re probably familiar with the situation), but I couldn’t resist to get it and read it right after the first book. And you know what? I don’t regret it. This book blew my mind! My first encounter with both the author, Kristin Ward and her duology was through the first TheWriteReads blog tour for ‘After the Green Withered’. I liked that book very much, and, though I tried very hard to resist, in the end I decided to buy the Kindle version of the sequel and read it right away. My feelings are all over the place after I read this one! It was amazing and terrifying, and it generated all kinds of sentiments and thoughts in my head. The story continues where the first book ended, and though the two stories are one and the same, it makes sense that it was divided in two. This second volume illustrates the other side of the world, the situation, the dilemma Enora faces, and slowly we, along with her, learn that there are way more aspects than merely this or that, the sides and the intentions are not two opposites – everything is layered: the world works in the shades of grey, instead of being black-and-white. …and when the ending came, I came to the realization along with Enora. My thinking changed with hers, I felt what she felt, and understood what she understood. Her character development is exceptional, and the way the story’s told the reader’s being brought through her world (outer and inner)… I almost physically felt how her vision (along mine) felt more and more complex… until the sudden clearness in the end. The astonishing, paralyzing hit I felt at the end wasn’t because it was particularly unexpected. What’s more, the author could it communicate in a way that when Enora made peace with everything, I felt the same. No, what’s the most terrifying thing both about this, and about the book in general, is how realistic it feels. Everything, from the world-building, through the characters, to the pacing, feels natural. So natural, you can actually see it happen. This story is scarily realistic. Also, this is something I only felt a couple of times in my life: I felt the ending was right. I can’t explain it any other way… There are good endings and bad endings, endings that leave you utterly unsatisfied, and ones you’re okay with. Endings that you’re happy about, so you ignore the feeling that they’re unrealistic are common, too. And vice versa: those that are realistic, but you just can’t accept that because you feel like that’s not what you needed. This one simply felt… right. This was the ending this story had to had, and I feel like that’s one of the rarest things to state about a book. If you’ve read ‘After the Green Withered’ and liked it, don’t hesitate to pick this one up! If that one had a lot of potential, this sequel sure brought it all to effect. If not, but I succeeded at persuading you to read it, please, start with the first volume. It’s necessary to completely understand and appreciate the story. Another thing I feel like I should mention is the expressed violence in this book. I think it’s categorized as a young adult, and mostly I agree with that, but it has an unusual amount of violence described from that category. That’s not something that bothers me, and it wouldn’t have bothered me when I was a teen (I even like this book better this way, it adds to the realistic illustration of the world), but I know many people read YA exactly because stuff like violence is a bit tuned down, compared to adult books. So if you’re among these readers, this book may not be one for you. Also, if it’s the YA label that keeps you from reading it: don’t let it! Read it. Seriously. Again, a gallon of water. This story is very clearly closed here, but I would definitely read anything Kristin Ward writes after this! Were you a part of the big blog tour? Have you read this book? What did you think? It’s amazing how much graphic violence makes it into YA books now-a-days! (… Says the girl who grew up with R.L Stien and Christopher Pike…) maybe I’m just getting old and I don’t remember what young people read! 😂😂 This does sound good, though. I’ll defintitely have to go back and check out the first one!